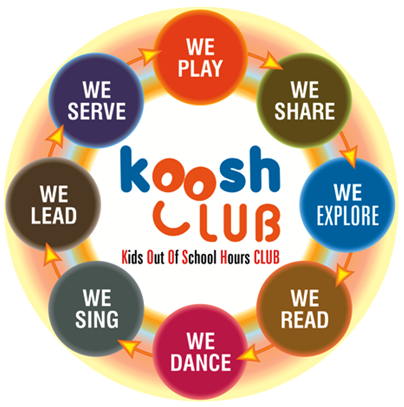 KOOSH CLUB will have many psychological and social benefits in children in an After School setting. It promotes a sense of belonging in children and provides an environment where children thrive personally and socially. Children can build social relationships by working in a group and develop positive and meaningful relationships with their peers and Staff Members. “The Concept of ‘full-fledged after school hour KIDS CLUBS’ is quite new and thus KOOHS CLUB intends to facilitate by providing innovative, qualitative service”. A child's education does not take place only in the classroom, during regular school Hobby. The home, the playground, and the school campus in general can all be invaluable settings for a child's personal and scholastic growth. One way to enhance a student's school experience is through extracurricular activities such as clubs. At the elementary school level, some appropriate, enjoyable, and educationally beneficial themes. 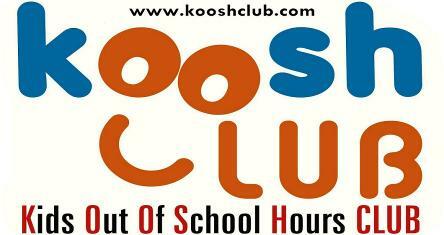 KOOSH CLUB, a Kids Out Of School Hobby Activity Club, to provide an opportunity to elementary and secondary level school kids to learn LIFE SKILLS and EXTRA CURRICULAR SKILLS which are not specifically taught in traditional school education.